Playing an mp3 on a BeagleBone Black Board is easy with a USB audio adapter. The software to play an MP3 (mplayer) is included in the standard Angstrom release. 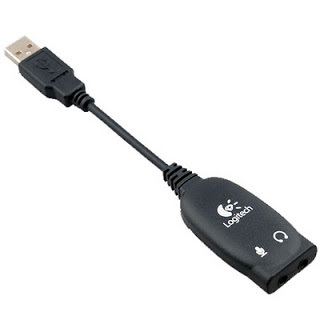 I plugged in a Logitech A-5572A USB audio adapter and it was detected automatically on boot. I'm using a small amplified speaker for testing, but you could just as easily use a standard headset plugged into the 1/8 inch jack of the Logitech. Notice the format. The aplay result is default:CARD=Headset but we are reformatting it to default:Headset. If you hear sound, you're doing great. I have an mp3 in my current directory named r2_1.mp3. Use mplayer to play the mp3. Notice the format. The aplay result is default:CARD=Headset but we are setting the -ao argument to alsa:device=default=Headset. If you don't hear a sound, but you heard sound with the speaker test, take another look at the format of the -ao value. I found the information here in this Google Groups thread.